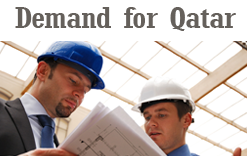 Ramaco Trading & Contracting is operating as a “Grade A” Construction Company in the State of Qatar (Established in 2001). Ramaco is specialized in providing turn-key solutions in construction industry, featuring Design, Engineering, Construction & Property Management. In that regard Ramaco has established an Integrated Management System based on the requirements of the three Standards: ISO 9001:2008 – ISO 14001:2004 – OHSAS 18001:2007. Ramaco is already certified for ISO 9001:2008 (obtained in 2014) and is planning to acquire the remaining two certifications by Q2, 2016. Minimum 5 years Experience required in Relevant Field / GCC Experience Must.